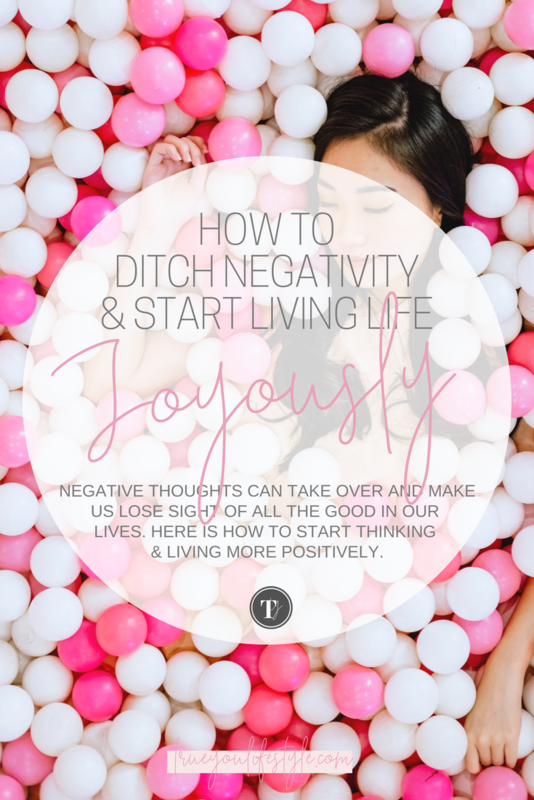 If you are in the habit of being negative then it will come naturally to you for negative thoughts to fill your mind and you can't stop that from happening in an instant. But what you can do is train your mind to change these thoughts into positive ones. It will take time and you won't be great at it at first but if you just keep it up eventually those negative thoughts will wain. When you think of something negative you need to counteract it with something positive. Undo that thought. I can be critical of people walking down the street, and it was getting worse when I was struggling more with my depression and anxiety. But now each time I think "Oh wow, her makeup looks terrible!". I think, "Wow she has confidence and isn't harming anyone by owning her style". Once you get into the habit of doing this with each of your negative thoughts, soon your mind will just jump to the positive thoughts straight away and your mind will be successfully trained. This won't happen in a day or even a few weeks, it will need to be something that you work on consistently. It can be difficult to think of the good things happening in our lives when we are so focused on the negative. So we need to start looking at our lives and find the positive in each and every day. The best way to do this is to start a Gratitude Journal. I have a specific journal for this from Kikki K (the cutest stationary brand) but you can just use a spare notebook or add it to each day of your diary. I try to write 3 things that I am grateful for but if you are consumed with negativity at the moment that might be difficult so maybe start with writing just one thing that you are grateful for initially and then eventually build this up and write two and then three things. The process of writing it down means that you are putting some thought into it and actually registering what you are putting down on paper. Plus you have something to look back on when you are having a particularly down day. Soon you will want to write so much more because you are recognizing the amazing things happening to you and how lucky you are. Again, this will train your mind to start actively thinking of all the good things happening right now. If you are like me then the first thing you do to catch up with your other half when you get home after work is have a big moan about what went wrong with your day. Now, this is normal and so easy to brush off. But if you are sat eating your dinner and the only thing you are doing is just moaning and sharing the bad bits about your day then that's never going to bring you any joy. It's like when you talk about your other half to your friends you are more likely to moan about what they have done wrong than tell them all the nice things they have done for you. And this is because we have been conditioned to think and speak this way. So when you are sat eating your dinner maybe ask the question, "What is one good thing that happened to you today?". Even if you have had the worst day you have had in a while you must list one good thing that has happened. Even if it is as simple as the vending machine releasing two snacks instead of one. This is another practice that once you start you will begin to think more of all the positive things that are happening in your day so you have something good to share. And soon you won't even have to ask the question, you will just sit down and instantly start talking about the good in your day. And the rule with this practice is that you have to big up their win for the day. You can't put it down, you can't brush it off and move on. You want to share the positive with them and continue the positivity in your conversation going ahead. This is so that your whole dinner can be filled with smiles and laughter rather than rolled eyes and frustration. It works. Give it a go. A lot of the time when we are having a negative moment it is a thought about someone else and their actions. Or it is criticizing ourselves. So now is the perfect opportunity to start working on ourselves. If there is something you are berating yourself for and you can start working on it then start making that change. If you can't change it then work on your mindset so you can stop dwelling on it. Once you start working on you and your mindset the negative attitude you have towards yourself should soon slip away and you can focus more on the amazing things about yourself. Once you start taking this seriously then you will be so busy developing yourself you won't have time to worry about others or judge them. You will also start to feel happier in yourself which will set the tone for your thoughts as well. So make room in your own mindset for positivity within yourself and this will shine through in all areas of life. Now as I said, negativity is contagious so if you are surrounding yourself with negative people then it's going to be so much harder to treat yourself with joy. So it might be time to either have a chat with these people and tell them or just cut them out completely. It will be difficult and probably pretty destructive at first but once it is done and the fuel for your negativity is diminished you will start to feel so much better and so much more positive. If you are not sure how to talk to them then maybe tell them you are starting a positivity challenge and you are not allowed to be negative for two weeks and see how they respond to that. If they are all up for the challenge as well then that's great. If they think it is stupid and go straight into a negative rant then maybe you don't want them around anyway. But you need to be strict and draw a line with these people because they are like a poison and if you don't nip it in the bud then it will bring you down more than you expect and you won't truly be able to change your mindset. It allows more space then for you to fill your social life with positive people that fill you with joy. What are you going to start feeling more positive about now?